Haryana Staff Selection Commission recently published Police Recruitment notification for 7000 male and female constable posts. If you filled online forms, then you will require Haryana Police Constable Syllabus and exam pattern. 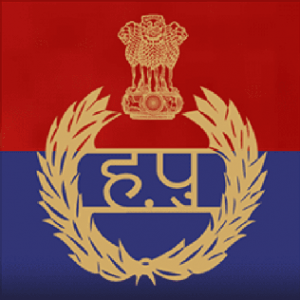 We have collected latest information on exam pattern from official website of Haryana police. This time more than 7 Lakhs candidates submitted their application form at official portal www.hssc.gov.in. Now the aspirants want to know Haryana Police Syllabus for exam preparation. We have provided you the complete syllabus of the written examination in the below section. This year, the written examination will be of 80 marks. So the exam pattern has been changes. The complete syllabus will be mentioned in the notification which will be released very soon. So you have to stay alert as it can be available anytime now. We have given each and every basic information in this article related to Haryana Police Syllabus. We are sure, after checking below given Haryana Police Constable Syllabus 2019, no doubt will arise in your mind. 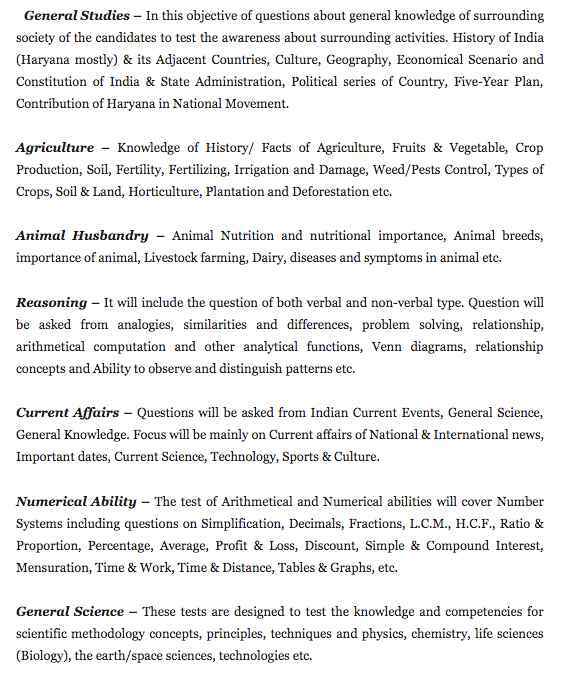 You should plan your study exactly as per below given Exam Pattern and syllabus. We have provided you the detailed syllabus for the written examination in the below section. You just have to give it a read. We are suggesting you to work hard if you want to get this job. We have also included the exam pattern and the selection procedureof this vacancy. First of all we would like to tell you that start your written exam preparation right now. Don’t wait for physical date or Haryana Constable Admit Card. There is really very tough competition in Haryana police Recruitment. Start you preparation now with this below given Haryana Police Syllabus.The written exam will be based on objective type questions only. You will get 0.80 marks for each right answer. No marks will be deducted for the wrong answer. So you can attempt all questions if you want to. You can try your luck by choosing options without knowing the right answer. The written test will be conducted by HSSC. It will be paper of 80 marks. It will be having MCQ type questions from below given Haryana Police Syllabus. Only candidates those clear physical screening test can appear in the written exam. We have explained Haryana Police Syllabus (New), exam pattern and selection process in next section. There will be five basic stages in recruitment process. Candidates have to clear below given five phases. HSSC has released the latest notifications for Police jobs. Soon they will conduct written exam and for exam you need to know about Haryana Constable Exam Syllabus. If you study according the given syllabus it will help you a lot in exam. HSSC will release the exam date 10 days before exam. As you scroll down you can see we have explained all about Haryana Police Exam Syllabus with exam pattern. You can also check it on official HSSC website. If they make any changes we will update it on our page. If you have any doubts about Haryana Police Constable Exam Syllabus you can use comment section to contact us. After clearing above 5 phases qualified candidate will be placed in Haryana Police merit list. All phases are equally important and have individual marks ratio. So candidates have to be well prepared for these various stages of the selection procedure. The written part having maximum marks percentages. So prepare well to score more than Haryana Constable Cutoff Marks 2019. Its your last chance. As we all know that next year there is election planned in state. So no Police Jobs are not coming for next 3-4 years. So it is really great opportunity for all the candidates. You should prepare well for it. We will guide you to achieve your goal. Mental Aptitude & Revelant Field/Trade etc. After clearing the first phase i.e.Haryana Police Physical screening test, candidate will get chance to appear in written exam. This is known as knowledge test. Before taking part in it, you must be full aware of Haryana Police Constable Syllabus and exam pattern. This stage carry maximum marks i.e. 80 marks. Knowledge of Haryana Police exam pattern will help you score more. This is as follows. For the confirmation regarding it you have to wait for the official notification. The written exam will be objective type having MCQ type questions. There will be 100 questions in written paper. Each question will be of 0.8 marks. There is No Negative marking scheme in this exam. Question paper will be given in Hindi except English language section. Candidates those preparing for the written exam, must know exact pattern. Only then they will be able to score more and reach to further stage. Our team is working hard for such candidates. We will provide you sample paper strictly according to Haryana Police Syllabus. It will help you know your weak areas. You have to download it and try to solve it in given time frame. Then you will get idea of real exam. We advice you to first check Syllabus of Haryana Police Written Exam, before starting your preparation, so that you don’t miss any important section. It may cost you some very valuable marks. All candidate must check below given Haryana Police Practice set on regular basis. It will help you improve your score. There are news circulating that the written examination will be conducted in the upcoming month of June or July 2018. Here, we have provided the complete syllabus of the written examination. So you can start your preparation in the full swing. The written examination is expected to be held in the last week of June 2018. We are estimating that the exam will be held from 23rd June to 30th June. So the candidates just have 45 days until the examination. You can easily improve your performence by attempting these practice and sample papers. So you have to give it a try. The link to download the sample paper is given in the below provided table. You have to follow the link to download it. The answer key will also be provided to candidates in the next few days. So stay in touch with us here. We will keep posting question paper of each shift here. The candidates can download it all these paper from here without facing any problem. The complete guidance about the syllabus of the written examination is discussed in this article. If the candidates want to download the PDF file of the complete syllabus, contact us. We will send you the PDF file. You just have to leave your email id in the comments section. Then, you will be able to download it. The syllabus of the written exam is well explained in the official notification. But there are few points on which students have doubts. The first, it is not clearly mentioned in the official notification whether questions from Languages will come or not in the written exam. We are informing you the questions will be asked from both languages. All the candidates who have applied for this post are now waiting for the written examination. As the case is filed againist this vacancy, the written examination is expected in the month of July. Haryana Police Constable Written Syllabus is available here in this article. The syllabus of the written exam is now the hot topic in the State. All candidates want to know it. The exact details will be provided here. The candidates want to get the officially confirmed date. So, we are telling you that you are at the right place. Syllabus of Haryana Police Constable Exam is explained in the above section. The candidates who are appearing for the written exam can check it. If you need study material, let us know. We have also started a test series based on the the above mentioned syllabus. You guys can join the series by attempting the given sample papers. The date of written examination is coming close and those candidates who applied for it should start working hard. You should know that Haryana Police Constable Exam Syllabus is the most important thing for clearing the exam. We have listed all the subjects in this article in order that you can easily understand them. If you can cover up Haryana Police Exam Syllabus 2019 before the exam, then your chances are good for clearing this exam. Syllabus for police is simply explained by our team so you can start preparing for the exam. The exam date for it is still not available. The video in which we have discussed the syllabus of the written examination has been uploaded on our you tube channel. The students can visit there if they want to watch. The link to our youtube channel is given in the last section. The Haryana Constable Exam Syllabus of the written test is mentioned in this video. Candidates must prepare as per above given Haryana Constable Syllabus 2019 only. All the MCQ type questions will be asked from it only. Level of question will be 12th standard only. There will be various sections in the written test. we have covered all of them in above given Haryana Police Syllabus and exam pattern. You have to cover it all to get a decent score. All details regarding it will be available in the official notification. So we have to wait for it. The official notification regarding this vacancy will be released in the upcoming month of April/May 2018. The official confirmed date is still not available. If any notification regarding it will be released, we will let you know about it. The notification regarding it will be posted on the official web page of the commission. The link to the official web page is given in the above table. If you are having any question or doubt related to Haryana Police Constable Syllabus, then feel free to ask our team in the comment section. Our team will get in touch with you and help you out.